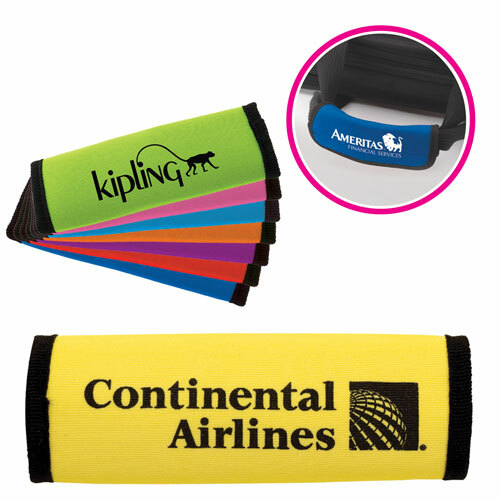 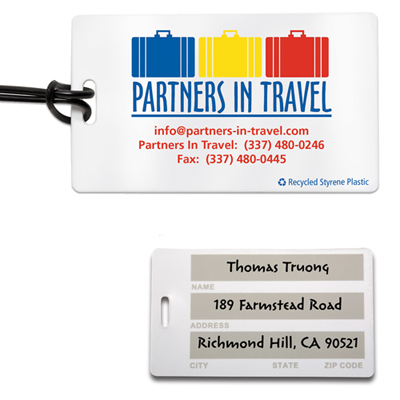 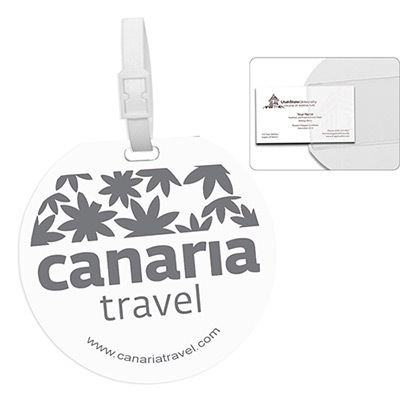 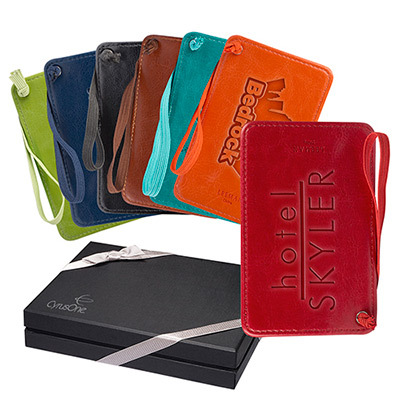 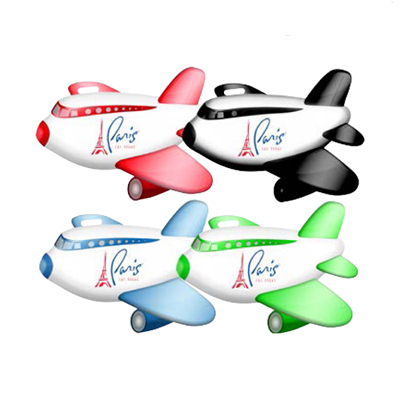 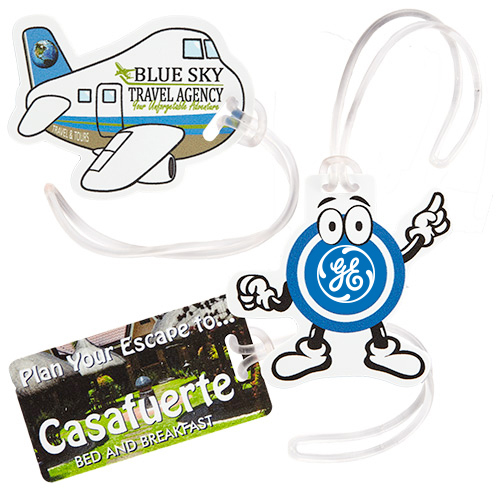 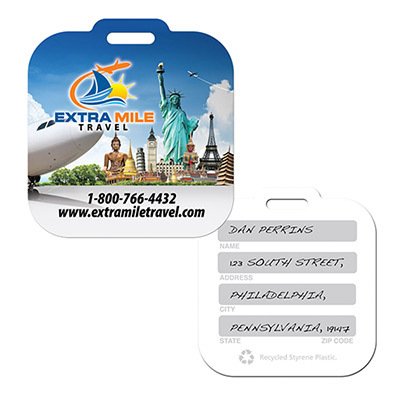 PROMOTIONAL LUGGAGE TAGS WILL GET YOUR LOGO NOTICED AROUND THE WORLD! 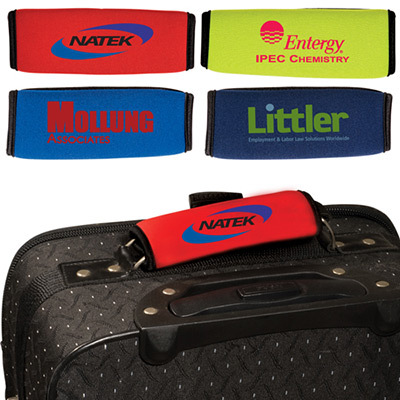 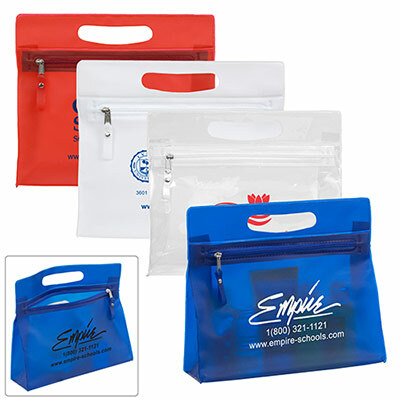 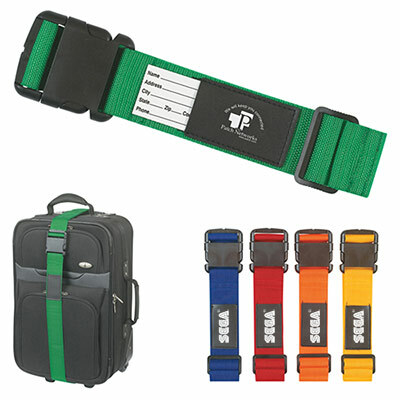 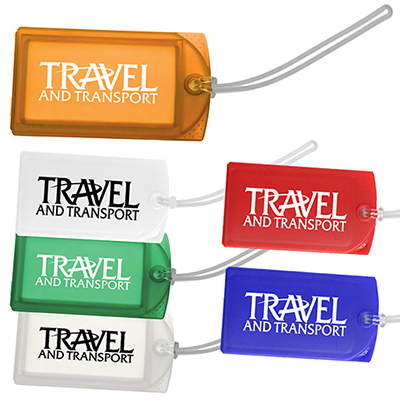 Custom luggage identifiers are practical and budget-friendly items that allow you to advertise your brand on the go. 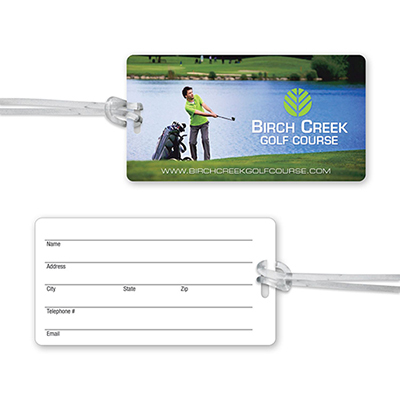 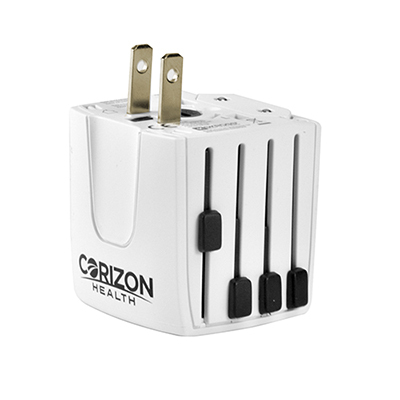 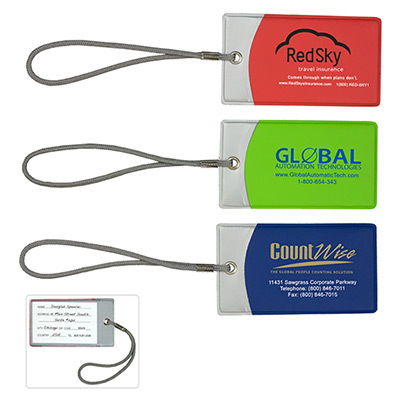 Distribute them at trade shows, conferences and seminars to boost your brand’s visibility among attendees. 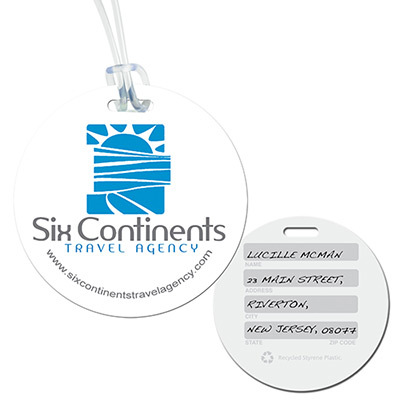 Our tags or identifiers will help you connect with frequent travelers. 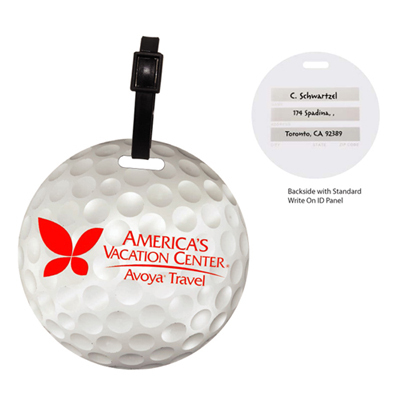 Your logo gets valuable attention wherever they go. 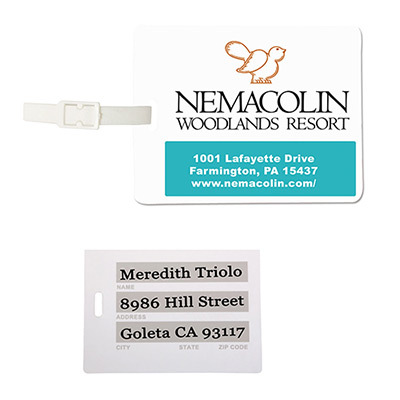 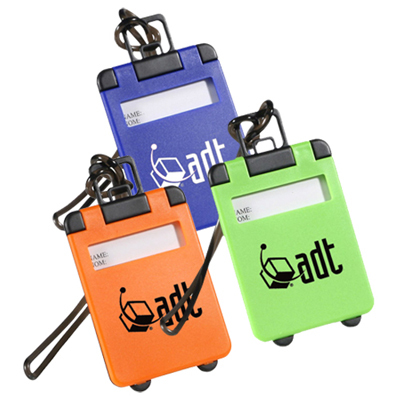 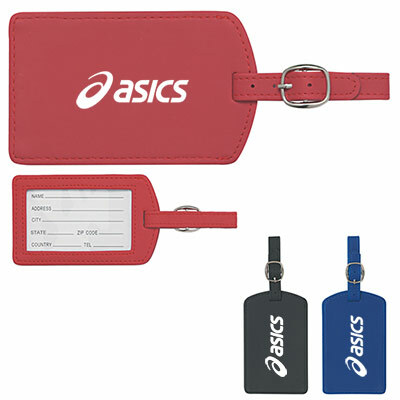 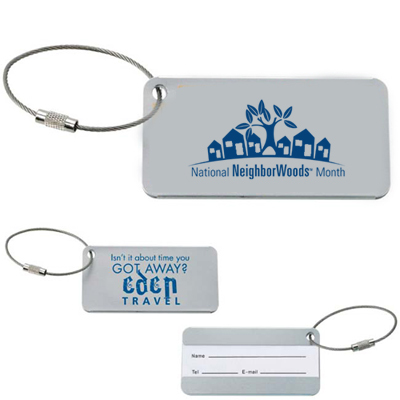 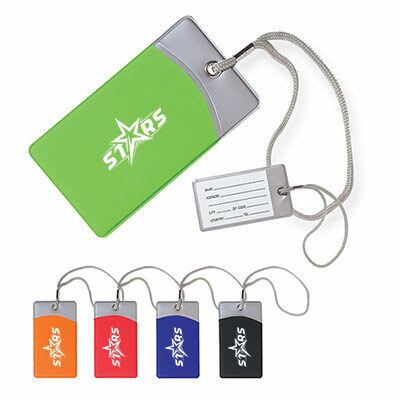 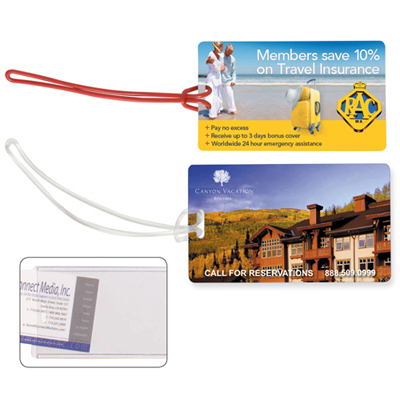 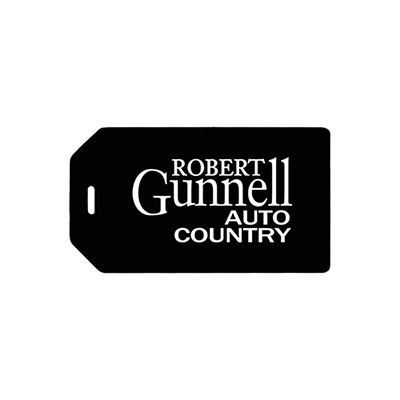 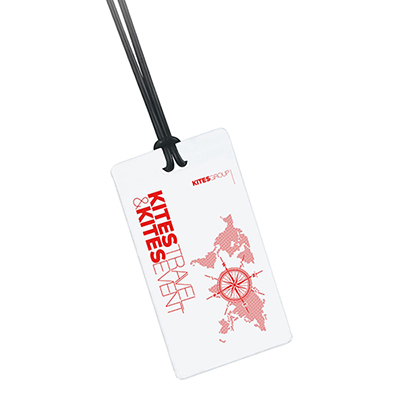 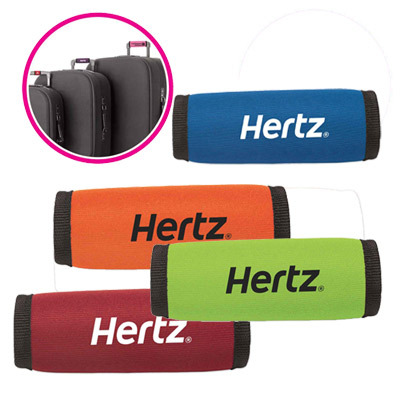 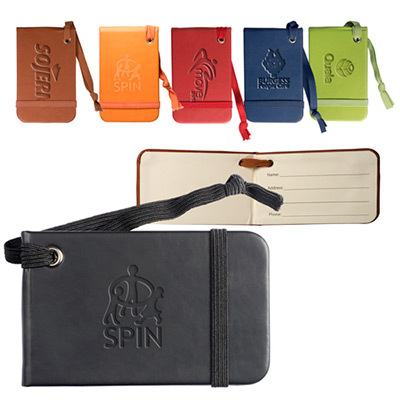 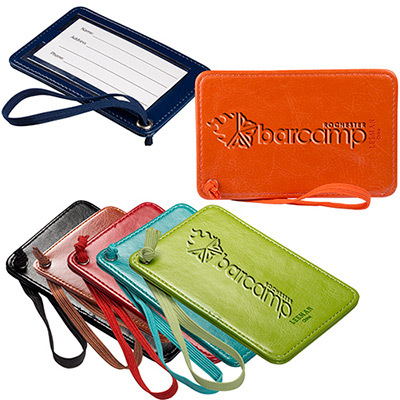 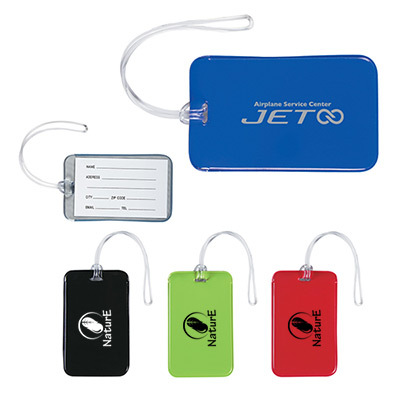 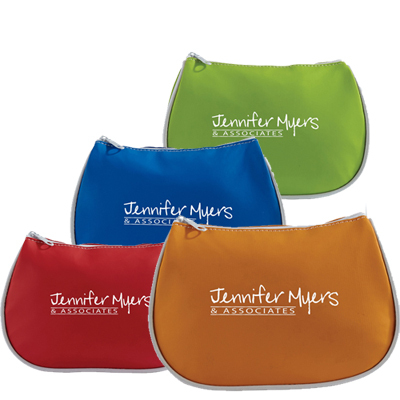 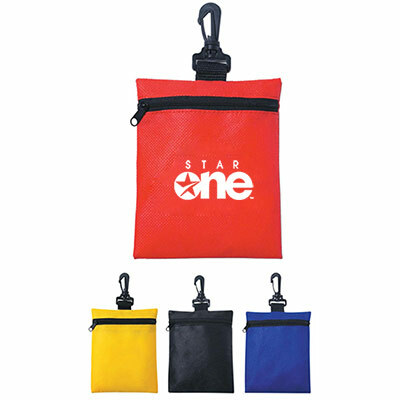 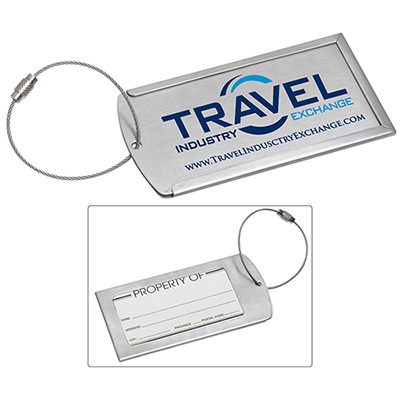 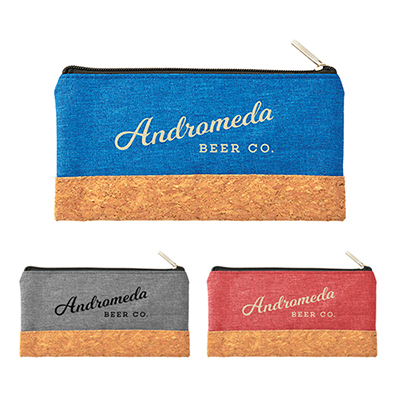 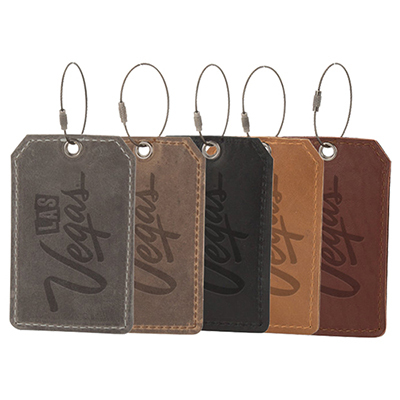 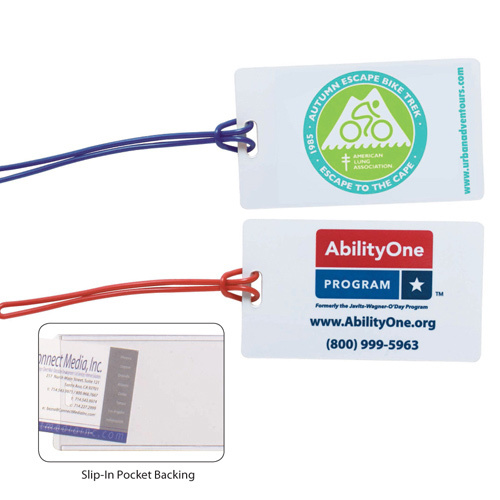 Our promotional luggage tags are available in a variety of shapes, colors and sizes. 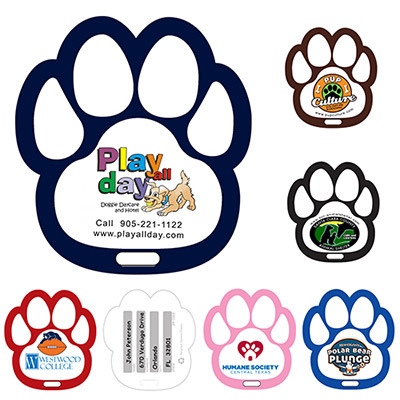 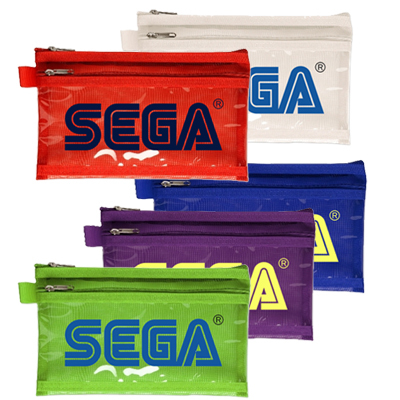 They are made from either leather, plastic, vinyl, acrylic or silicone. 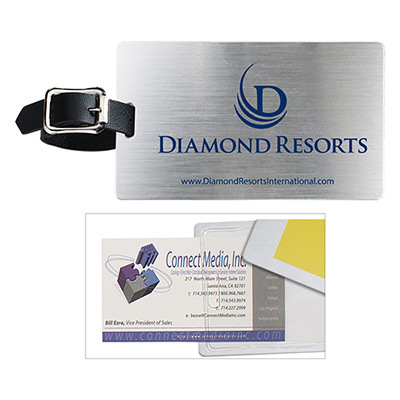 Choose a design that complements your logo and your brand is sure to win points with potential clients! 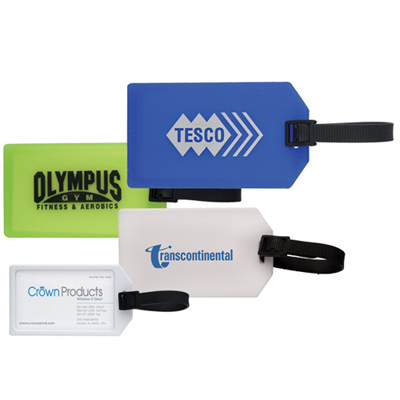 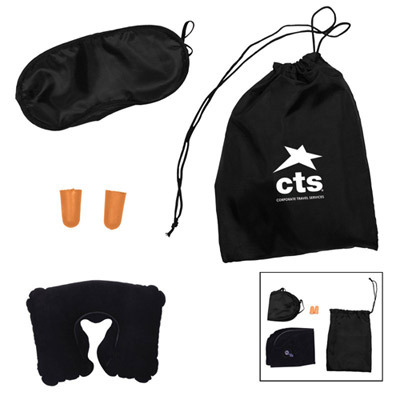 This page also features some handy travel items such as pillows, travel kits and luggage scales. 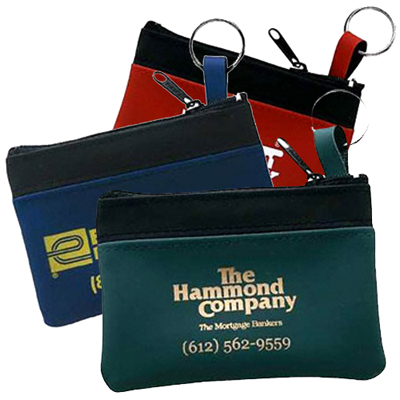 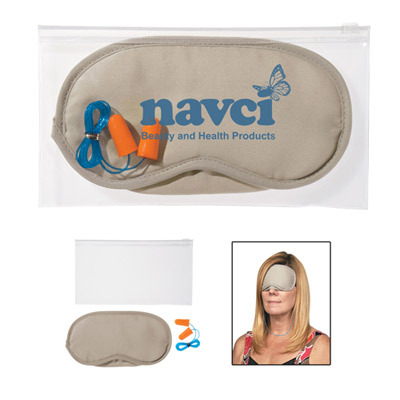 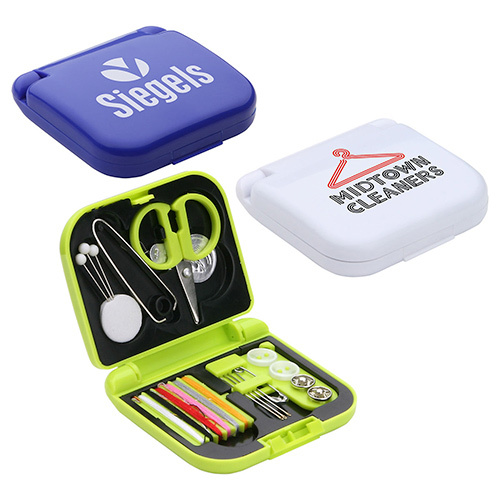 Be assured that these handy giveaways will be appreciated and well received by customers and employees. 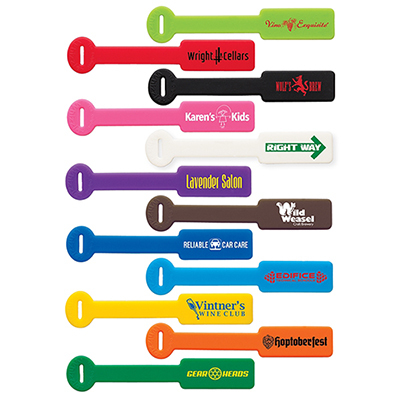 Do you need tags to launch a campaign on short notice? 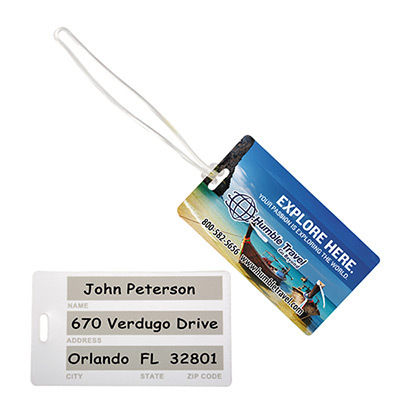 We recommend you choose tags that fall under our 24 hour rush luggage tag items. 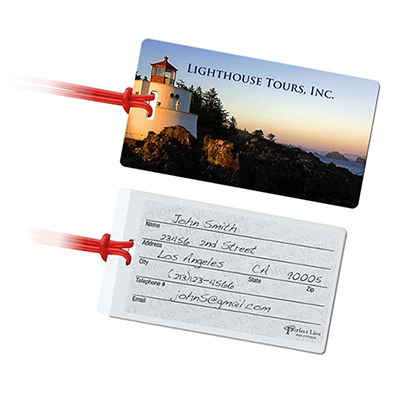 We will process your imprinted giveaways the next day! 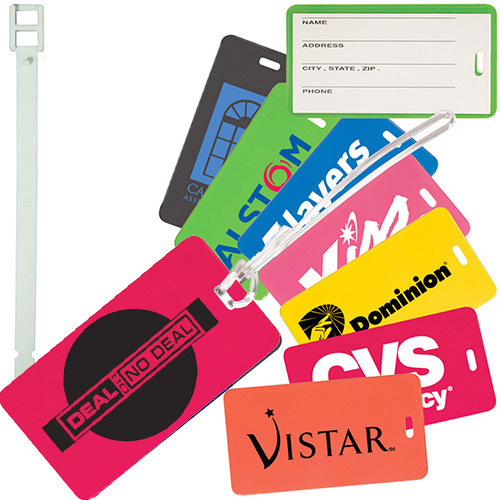 Contact our customer service specialists if you are confused about which tag to go for. 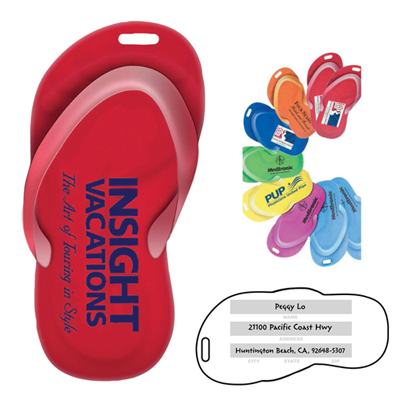 They will help you find the perfect one for your marketing needs.